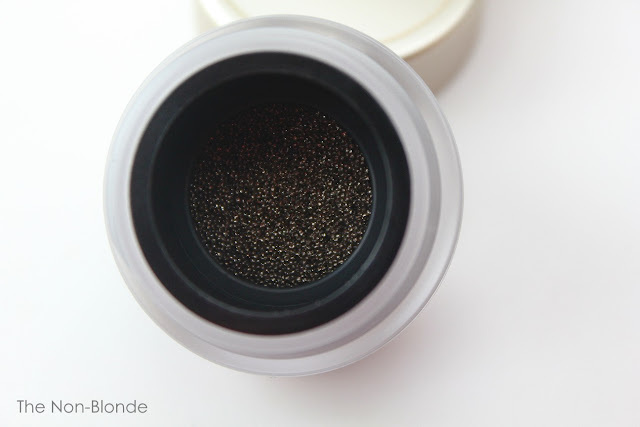 It looks a bit like caviar, but it's just the spongy cushion reflecting the light from the shimmer. 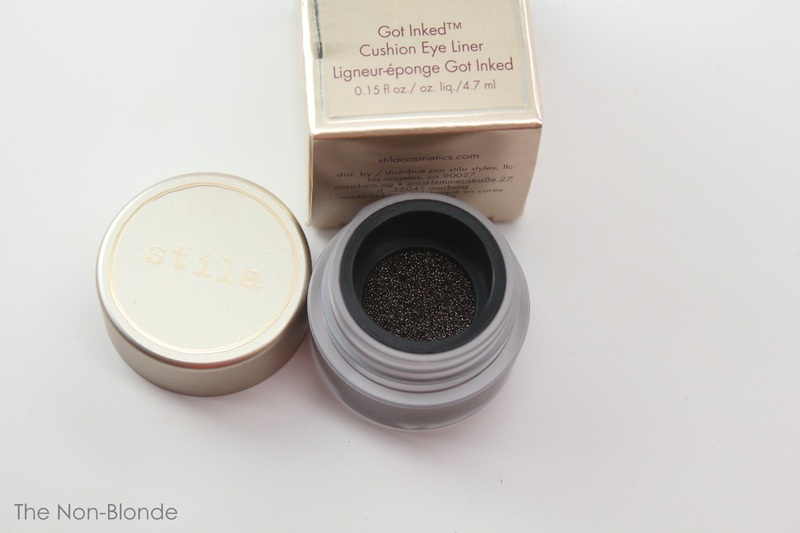 After testing and loving that bright Stila Cusion Blush I told you I was going to get its cousin, Stila Got Inked Cushion Eye Liner, another Korean-made product. My original intention was to buy Blue Sapphire, but even I couldn't justify another blue eyeliner. 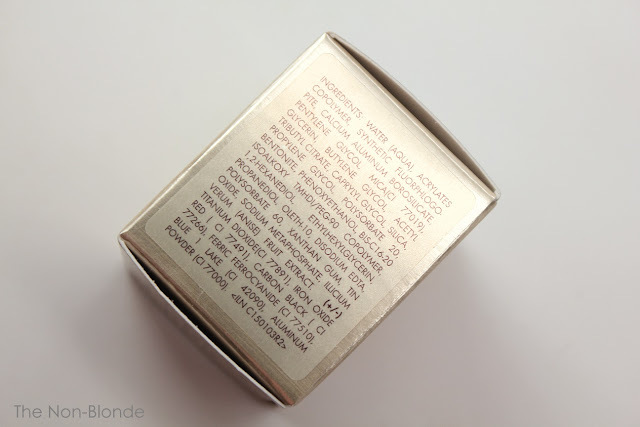 So I picked Smoky Quartz, a complex shimmery blackened bronze color that reminded me of old eyeliner I had and enjoyed in the past, such as Lancome Artliner Gold Passion and Rouge Bunny Rouge Tiger Eye. I had a vacancy in my collection so I used them up years ago, and Stila's Smoky Quartz fit the bill. You can see that the color is beautiful. The shimmer is bright but very fine, and doesn't flake off or fall into my eyes. It brightens the eye area, especially when using an all-matte eye shadow look. It adds just the right amount of shine and light, and the result is polished and flattering. Performance is excellent. The eyeliner sets within seconds and stays put without losing its luster or precision from morning to night. I've applied Stila Cushion Ink with several eyeliner brushes, and my personal preference is using very thin yet semi-firm brushes. If it's too floppy the brush will not get coated evenly with product. My leaning towards the thinner ones is because of the shiny finish, but if you want more impact you can definitely go for a wider brush. I have done it for an evening look and it was pretty. Bottom Line: Maybe I do need the blue one after all. 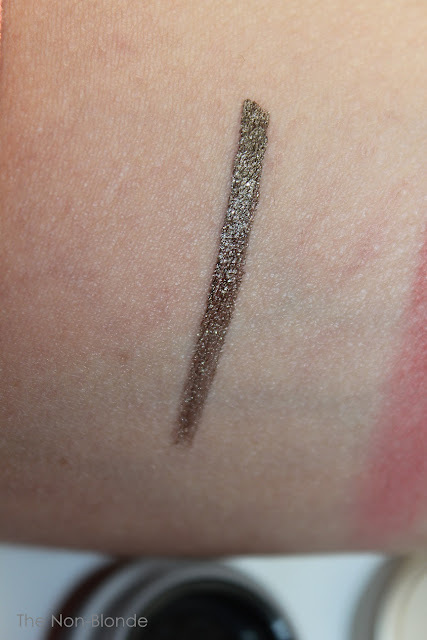 Stila Got Inked Cushion Eye Liner- Smoky Quartz Ink ($28, made in Korea) is available from Nordstrom, Sephora, Ulta, and stilacosmetics.com. That color is so pretty, I'll definitely have to give it a swatch the next time I pop into the store!